Peach pull over hoodie with biker stitched details. This release by T-LD embodies an urban streetwear look. It features individual biker stitched details on the sleeves and an embroidered box logo on the front. 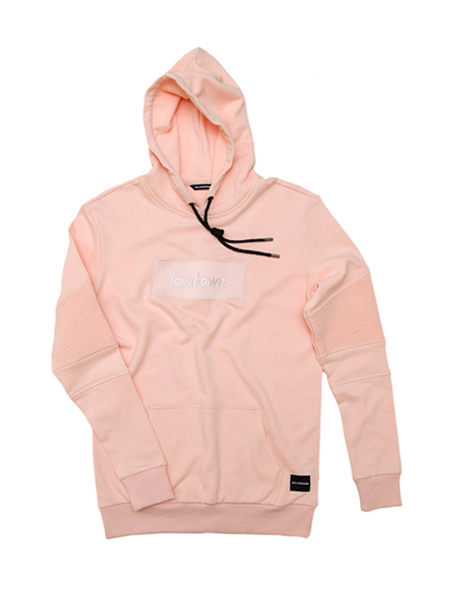 Made of 100% medium weight cotton, this peach colour offers a fresh take on our popular hoodie.